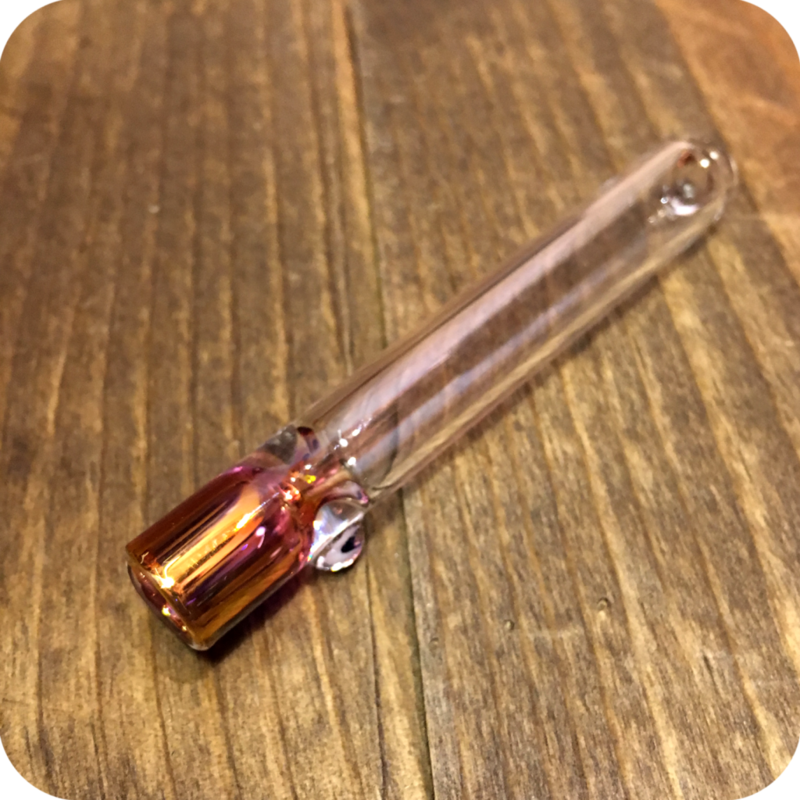 This Gold Tipped Glass Bat is everything you have been looking for in an affordable, quality, travel-friendly pipe. 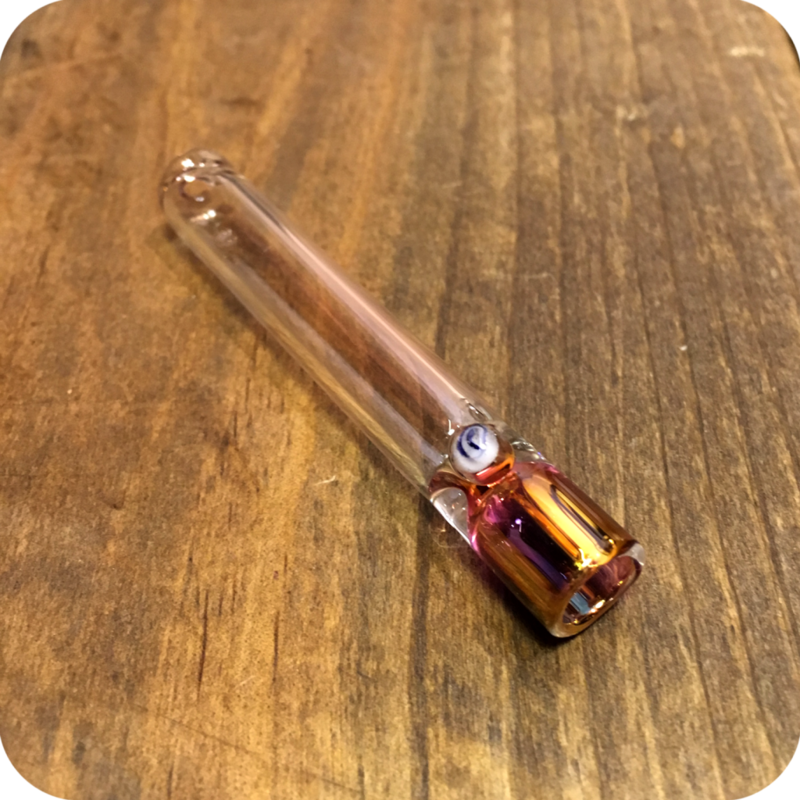 The Gold Tipped Glass Bat is simple, straightforward, and easy to use. Like all bats, pack a small amount of your legal herbs at the gold top and you’re off to the races! 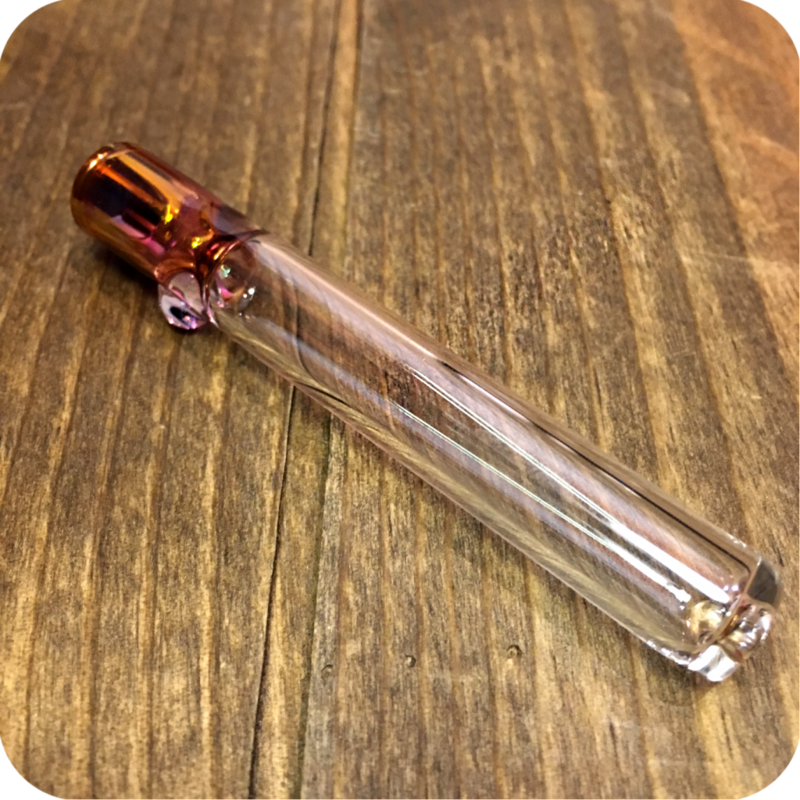 Keep it at home, or take it on the go, either way you can not go wrong. 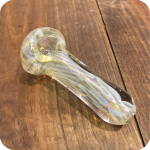 This pipe is super easy to keep clean and maintained. 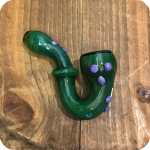 With enough love and care this pipe could last you a lifetime! Clean it with Formula 420 Cleaner or just soak it in salt water and scrub. Looking for a one-hitter or bat with a different design and feel? Check out this IYQG Glass Cigarette, or this Stone Cigarette Bat to get some others ideas or what we have to offer. 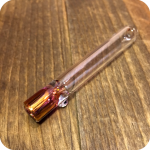 And of course, be sure to swing by either one of our three Brooklyn store locations to see say hey and see what else we might have that your looking for! 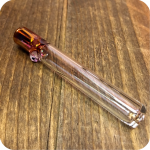 Tags: Brooklyn, brooklyn smoke shop, Clear Glass One Hitter, glass bat, glass one-hitter, Gold Tipped Clear Glass Bat, new york, one-hitter, Sunflower Glass Co, Sunflower Glass Company.